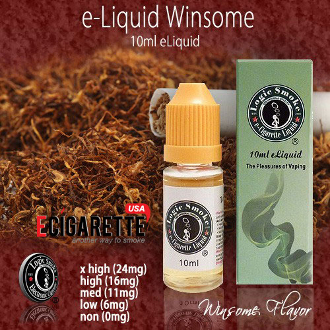 Our Winsome vape juice from Logic Smoke is a subtle, smooth tobacco flavor that is a favorite amongst our tobacco flavored vapers. It's a great all day vape and works well if you add a bit of menthol too it to give you the menthol cigarette flavor if you'd like. Pick up a bottle of Logic Smoke Winsome e juice today and enjoy.